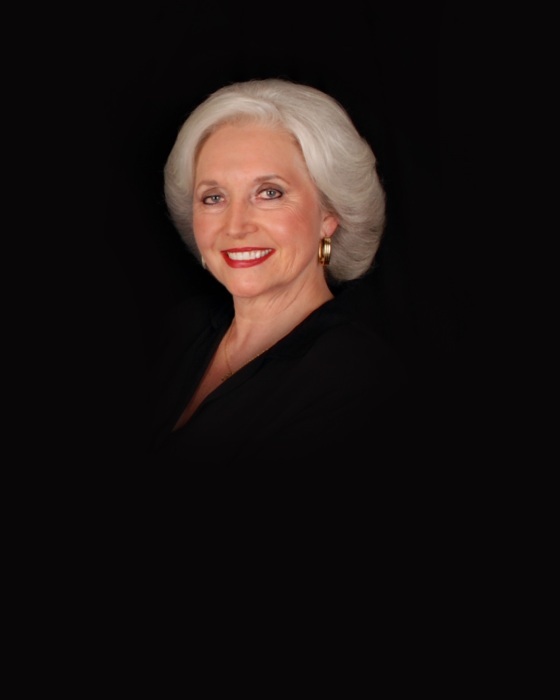 Shirley Inez Lent, 74, departed to heaven escorted by Angels on February 23, 2019 in The Woodlands, Texas. Her unexpected passing was a shock to all who knew her as a vibrant, vivacious, and stunningly beautiful woman who charmed all with her infectious enthusiasm, laughter and love of life. When she walked into a room she lit it up with beauty and grace. She had genuine interest in people, always seeing the best in them and speaking only kind words which resulted in deep and enduring relationships. She was relentless and fearless when it came to enhancing and making any experience perfect. She lived by the virtue that beauty is in the details. She loved music, dancing, angels, gardens, sunsets, chocolate, playing bridge with friends, walking in nature and reflecting on her terrace during rain storms. Above all else she cherished her family and friends with boundless devotion and love. Shirley, known to many as Pearl, was a small-town girl who lived a wondrous and fulfilling life that took her all around the world. Shirley was born October 10, 1944 in Prineville, Oregon, the second child and only daughter of Virgil “Son” and Marie (Taylor) Hill. Shirley’s early years were spent in a number of small sawmill camps, none more memorable than one in Big Summit Prairie in the Ochoco Mountains of Central Oregon. The family lived in a one room cabin without running water and electricity. Allowed to run free in the grassy undergrowth under a canopy of whispering pines, the curly haired blonde pursued adventures of her choosing and had the time to let her imaginations run wild. Each experience seemed to pale in comparison of the next. It was this spirit that remained with Shirley for a lifetime. In 1953 the Hill family moved to Prineville where Shirley was enrolled in elementary school. She said that her fondest memory of her early years was the annual “Maypole Dance”. She never forgot the elegance and exquisite beauty of that dance and the colorful weaving of ribbons. Shirley attended Crook County High School where she blossomed into a beautiful young lady who was Rally Queen, a student body leader, an athlete and a scholar. After graduating in 1962 Shirley attended Oregon State University and then Lawton Dental School in Beverly Hills, California. In 1967 she moved to Eugene, Oregon and became reacquainted with Robert “Bob” Lent, a very good friend from her high school days. With the friendship already in place the two soon found themselves in a romantic relationship. Bob and Shirley were married in Eugene on July 6, 1968. Throughout their marriage, Bob put his “Princess Pearl” on a pedestal and no man ever loved a woman more than he did. Shirley returned the same love and affection. She felt she was the lucky one. The couple moved to Denver in 1969. Two sons were born of their union: Tobin Lent, January 1970 and Taran Lent, May 1974. Prior to having a family Shirley said if she was to have children she would forego a career and would be the best wife and the best mother that she could be. When the boys were born she said she was going to raise “noble” sons. And she did. Tobin and Taran were accomplished scholar athletes. Tobin accepted a football scholarship to Stanford University and Taran became the football captain at the Ivy League’s Dartmouth College. Shirley’s boys are entrepreneurs, each having created and sold multiple startup companies. With one son a college graduate and the other away at school, Shirley and Bob moved to Ascot, England in 1993. The five years the couple spent in England proved to be, in Shirley’s words, the grandest and most magical time of her life. She said she had never been so utterly happy. From her home, Muirfield, she ventured forth to make the most of every day. She met and charmed many people. It was not only the locals that were the beneficiaries of her kind soul and gentle spirit. She had many encounters with the Royal family, none more memorable than one with Prince Charles. Shirley and Margaret Thatcher held conversations on their respective sons. She played bridge with Omar Sharif, the actor. She sat with the Royals in their private pew at St. George’s Chapel on the grounds of Windsor Castle. After five years in the United Kingdom Bob and Shirley moved to China. Shirley’s beauty, grace, and class won the hearts of all she came in contact with in the Central Kingdom. She captivated peasants, business leaders, and government leaders, all with equal aplomb. When Bob was one of ten honored by a government hosted banquet in The Great Hall of the People, it was Shirley who intrigued the Premier and Vice Premiers. The Chinese national Television network (CCTV) focused their cameras on Shirley, not on Bob, one of the honorees. And it was Shirley who brought smiles to the government leaders as she shook their hands while walking through the receiving line. When Bob did the same the handshakes were hurried. Such was the manner of an inquisitive and humble small-town girl whose wildest dreams could not have imagined such magnificent experiences. “Who’d of thunk it?” was a common refrain between Bob and Shirley throughout these adventures. When Shirley repatriated back to the United States she traveled throughout Europe and South America with her husband Bob who was then vice-president in charge of international oil and gas exploration for Kerr-McGee Corporation. One of her most memorable times came when she traveled to Rio de Janeiro. She was enthralled by both the scenic beauty and the city’s people. Following Bob’s retirement in 2004, the couple enjoyed many long road trips, traveling the highways and byways of the United States. One of these was a three thousand mile odyssey through Texas. Conversation on these road trips was never in short supply and it was a rare occasion when Shirley did not engage someone with her smile and kind words. Shirley cherished lifelong hometown friendships and made many new trusted friends through her travels over the years. Many have said that they were thankful and blessed to have called her a friend and that she was as beautiful on the inside as she was on the outside. Shirley was a devoted “Grandy” to her four grandchildren. As she did with her sons, she inspired them to discover the beautiful details in life and relationships. What most people do not know is how hard Shirley worked to make her life what it became. She had a vision for her life and conviction about her priorities of family, friendships and happiness. She read and studied intently how to be the best wife, parent and friend. She reflected and practiced daily how to live a joyful and purposeful life. Her contentment didn’t just happen, she willed it to happen through incredible effort and commitment. Her legacy is the blueprint for a fulfilling life that will live on through her sons and grandchildren. Shirley is survived by her mother Marie Hill Binam (93) and brother Larry Hill of Prineville, Oregon; her husband Robert Lent of The Woodlands; and her sons Tobin and Taran. Tobin and his wife Ha live in New York City. Taran and his wife Nancy reside in The Woodlands, Texas. Shirley leaves behind four beautiful and talented grandchildren, Tobin’s daughters Seneca (18) and Tyanna (14), and Taran’s sons Decker Virgil (11) and Stege (8). A celebration of life service will be held at 1:00 p.m. on Saturday, March 30th at Prineville Funeral Home located at 199 N.E. 10th Street, Prineville, Oregon. - Quote found in Shirley’s handwritten journal.